The Pentax-Ricoh C60636KP 6mm, f/1.4 Manual Iris Lens is a megapixel lens designed for megapixel sensors, and provides images with reduced distortion. Featuring a 6mm fixed focal length with a maximum aperture of f/1.4, the lens offers wide-angle view when attached to a camera with 1/2" type sensor. Manual control over iris and focusing adjustments is complemented with 3 locking screws on the adjusting rings. 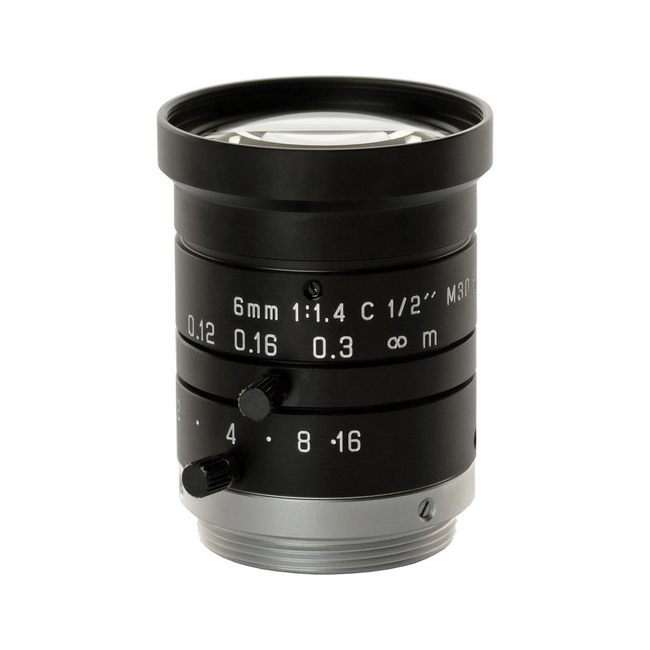 Featuring a minimum focus distance of 7.8” (0.2m), the lens offers maximized picture performance at short distances. Specialized lens coatings make it ideal for high-contrast scenes or intensely illuminated high-speed exposures. 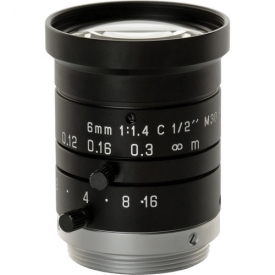 Did you see a lower price for the Pentax-Ricoh C60636KP 6mm f/1.4 Manual Iris Lens? Do you have a question about the Pentax-Ricoh C60636KP 6mm f/1.4 Manual Iris Lens?